The caller was Oliver Samwer, an Internet tycoon in Berlin who had already cloned American e-commerce businesses for Europe’s market. By 2012, his focus was shifting to the developing world. Two years after the call, Nigerian men on motorbikes ply the streets of the chaotic megacity of Lagos delivering toothpaste, English soccer jerseys and women’s wigs in a small and unprofitable, but growing, online shopping business. 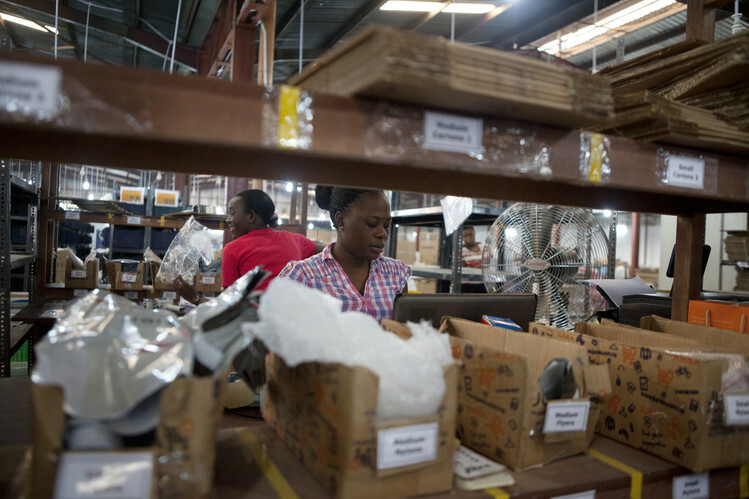 They are the vanguard in a race to hook the developing world on American-style e-commerce. It is a contest in which the U.S. companies that largely created the business are less dominant than they are in the West. Playing a major role, instead, are businesses with roots in Germany, an economy that has excelled at refining and exporting 20th-century technologies rather than digital innovation. The most-aggressive player is Rocket Internet GmbH, majority owned by Mr. Samwer and his two brothers. The three gained a measure of notoriety in Silicon Valley a few years ago by adapting made-in-America businesses such as eBay Inc. and Groupon in Europe, then selling them to eBay and Groupon. Now, as U.S. e-commerce companies invest heavily in Europe, the brothers have raised about $3 billion to expand far afield—convincing investors that developing-world cities’ often mind-numbing traffic jams and limited store selection offer a fertile source of future online-shoppers. They have mounted a broad effort to plant Western habits of Internet shopping from Africa to Latin America to the Middle East, Asia and Eastern Europe. Their approach to the Internet leaves little room for Silicon Valley ideals of unstructured creativity. Instead of imagining new business models, the brothers hire young business-school graduates and consultants to focus on their English watchword, execution. Oliver Samwer describes the business as a collection of “operational ants” focused on implementing proven ideas, as opposed to “a bird” that takes a view from high above in trying to spot new ones. His prominence is influencing a new generation of German entrepreneurs. “America is, basically, the place where ideas are born, and Germany is the place where ideas are executed and implemented,” says Saygin Yalcin, who built luxury-shopping and car-sale websites for the Arab world and attended the same German business school as Mr. Samwer. To lure business to a food-delivery service, they targeted the drivers for affluent Nigerians who are often sent to fetch lunch, paying the drivers about a dollar each time they order the food online. They have hired young Nigerians, mostly women, to crisscross the city with tablet computers explaining how their websites work. With some of the most highly trafficked e-commerce sites in Africa, Latin America, India, Russia and Southeast Asia, the Samwers’ Rocket Internet empire has about 27,000 employees in about 50 countries, it says. Amazon.com Inc. by contrast, has 12 international websites, including ones targeting China, India and Brazil. EBay mounted an emerging-markets push in the past two years, initially in Russia, China and Brazil. Neither has a website aimed at Nigeria. Amazon declined to comment. EBay plans to target more countries this year, said Wendy Jones, vice president of emerging markets. Rocket Internet said it recently raised $250 million for its Southeast Asian online store, called Lazada; $112 million for a Southeast Asian online fashion shop, Zalora; and $50 million from investors including J.P. Morgan Chase JPM inYour ValueYour Change Short positionfor Linio, an online store for Latin America. South African phone company MTN Group Ltd. MTN.JO inYour ValueYour Change Short positionplans to spend $400 million for interests in the group’s Africa and Middle Eastern ventures. MTN says it is seeking new income streams at a time when growth is slowing in revenue from voice calls. Whether or when this pays off for investors is unclear. Rocket Internet’s ventures world-wide generated about $3 billion in revenue in 2013, it says. 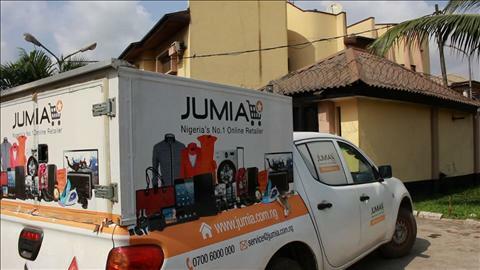 So far, many are unprofitable, among them its Nigerian e-commerce business, called Jumia. In some places, the Samwers have fallen short and cut their losses. In China, they ceded the market to dominant local players. They pulled the plug in Turkey after failing to gain traction. In Nigeria, they have plunged in with at least seven online business models, from shopping to taxi booking, with about 800 employees. In Lagos, the team had to create both demand and infrastructure. A living room was its first warehouse. Rented houses doubled as offices and living quarters. Team members had to traipse after a shower through a room where local hires worked, recalls an ex-employee, Leo Stiegeler. They bought a fleet of motorbikes, and a firm owned by the father of Mr. Harren’s driver hired delivery people to ride them. However, wwithin a few months, Mr. Harren left for Kenya to help start a Rocket Internet food-delivery website there. The Samwers have faced competition from Sim Shagaya, another Nigerian Harvard Business School graduate. He brushed aside Rocket Internet’s attempts in 2012 to hire him or buy his business. The Samwers acknowledge their ventures are heavily influenced by existing businesses but avoid the tech industry’s term of art for such imitation, “cloning,”. They recruit at business schools and seek out young bankers and consultants. Mato Peric, formerly their global e-commerce chief, says he hired more than 50 former management consultants. Some now shuttle among developing countries rolling out what they call “Amazon businesses” and “eBay models,” speedily setting up warehouses and hiring locals, while often paying suppliers in cash. E-commerce can be a tough business. Amazon ran losses in the second and third quarters of 2013. So the risks for the Samwers and their investors are ample. Sucharita Mulpuru, a Forrester Research FORR in our ValueYour Change Short position analyst, suggests it is wise of the big U.S. pioneers of the business to be cautious in the developing world for now. The Samwers, in her view, “are taking models that are fundamentally unprofitable and replicating them.